We’ve been meaning to share the utter pop brilliance of this track by Glaswegian trio Chvrches for a few weeks now and have never got around to it. Never, that is ’til now. And of course, since the track was uploaded to the band’s Soundcloud page a couple of months back, it’s almost become a cult classic, receiving in excess of 200,000 plays and being spruiked by all and sundry within the pop fraternity. ‘The Mother We Share’ is a slow-pop electro gem that combines Ellie Goulding-esque vocal cool with Alphabeat-esque pop sensibilities in a tight three and a bit minute package that’s altogether brilliant – and thankfully has been made available on our local iTunes store. 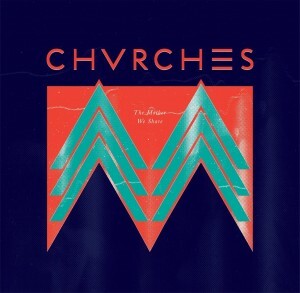 Given the band only launched earlier this year, if the sparkling ‘The Mother We Share’ is a sign of the things to come for Chvrches, we reckon that the future of pop is most definitely safe in their hands.